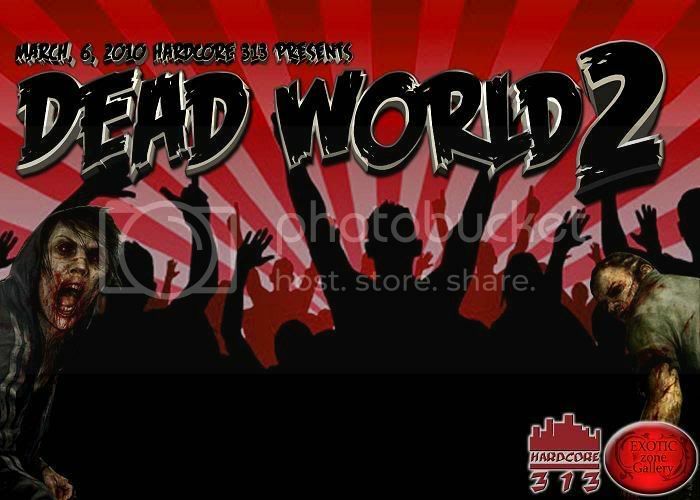 DEAD WORLD 2 March 6th 2010 Detroits Zombie Rave - Zombiewalk.com - Your source for all Zombie Walk and Zombie Flash Mob planning! From the people who brought you Digital Lovers, Pandemonium, Summer Nights, and We Are 3D comes the next round of Zombie Action success from our first Dead World! Last year we dragged little Jimni Cricket from her wet home in Seattle to the city of Detroit and had a blast with over 300 strong! This year we bring you the wild rumpus of Rukkus and the high energy sound of Starkiss! Also to compliment the night and to mix things up we have DJ Pilot bringing the beat and Alastair giving you a bass line. 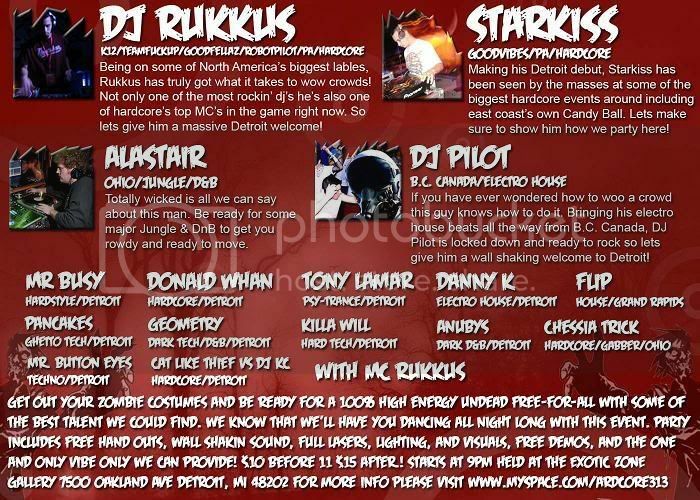 This event is 18+ and is located at the Exotic Zone Gallery 7500 Oakland Ave Detroit Michigan 48211. $10 BEFORE 11pm $15 after. Event starts at 9pm. WARNING THIS EVENT WILL SELL OUT SO GET THERE EARLY!